Cognac amber is a rich brown color that plays perfectly off the faceted citrine round above it. Set in sterling silver, average weight is about 6 g. Handmade in India. Average width across is about 1" tall, size varies slightly. 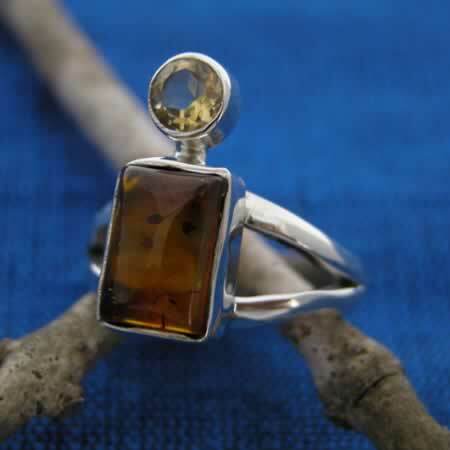 Wholesale amber and citrine ring.